One of our favourite Lego Technic sets of the last few years, the monstrous Bucket Wheel Excavator, is now officially retired, which is Lego's polite way of saying it's taken it out behind the woodshed. But that means the remaining stock is getting some big discounts, so if you jump in before they're all gone, you'll get maybe the best-value Lego set you've ever bought. 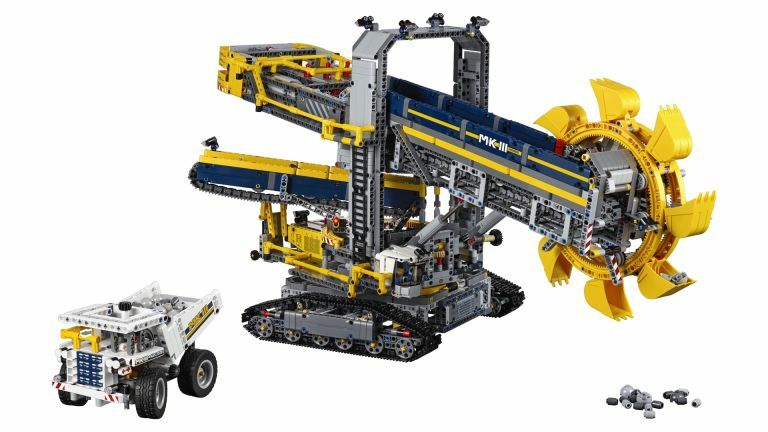 The 3,969-piece epic build forms an earth mover that's 16 inches high and over two feet long when fully extended, with a motor powering moving the machine and rotating its body, as well as turning the bucket wheel and connecting conveyer belt. As an added bonus, the whole thing can be build into an entirely different second model. And while we've got you Lego lovers here, if you're not looking to spend as much, and like your bricks a little more free-form, here's a great deal for 20% off a tub of Lego to make anything you (or your kids) like. The Lego police are here to save you some money for one day only!